A cleaner is someone that cleans for a living. A cleaner could work for a private residence, a hotel, an apartment building, an office building or anywhere else where they might need a helping hand with their daily chores. For the most part, cleaners are women however there are some men that work as cleaners as well. Women in particular like this job because it can have flexible hours and sometimes only requires part-time responsibilities. Some cleaners are self-employed while other cleaners work for larger cleaning companies that assign them work. Most cleaners are considered light duty cleaners however there are also specialized cleaners such as upholstery cleaners or window cleaners. Interestingly enough, the term cleaner is also used in Mafia films to refer to someone hired by the mafia to clean up a crime scene and remove all evidence before the police arrive on the scene. 622 new job listings for this search have been found in the last calendar day, compared with 1,982 in the last 72 hours and 3,679 in the last week. 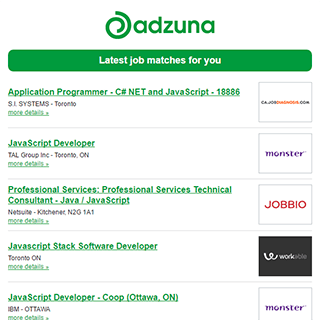 The Adzuna recency index score for this search is 1.26, suggesting that demand for vacancies for Cleaner roles in Canada is increasing. The average salary for open Cleaner jobs is currently $44,396, 58% lower than the national average salary for all jobs which is $104,739. Get the latest Cleaner Jobs in Canada delivered straight to your inbox!